Use for balloon bunches, arts n crafts and gifts. 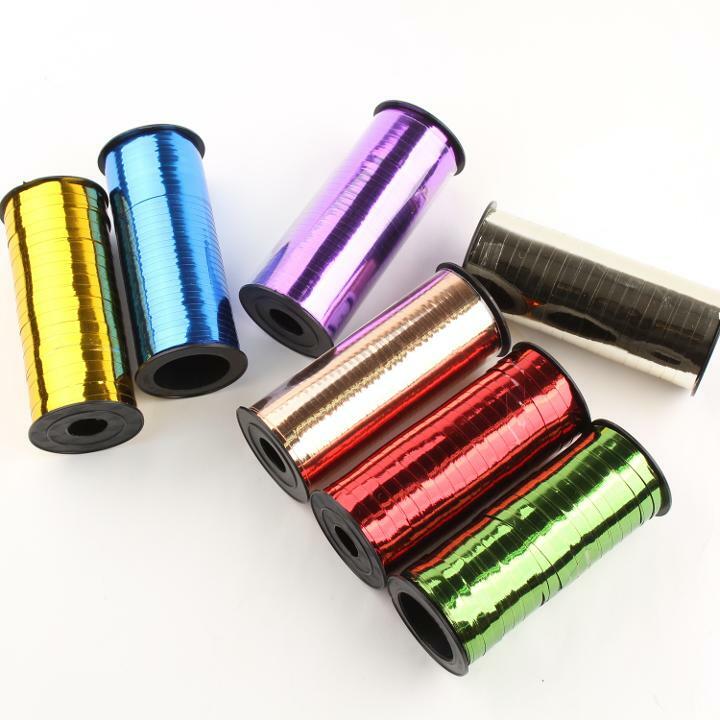 Choose from our extensive collection of foil curling ribbons available in 6 metallic colors. Use these metallic curling ribbons to tie solid color mylar balloon & balloon centerpieces to add vibrance to the party decor. Combine these with regular curling ribbons for a stunning balloon bouquet assembly. These 100 yd. (300 ft.) roll of metallic curling ribbons are crimped for an even more exquisite look.